It was about the size of a crowd you'd see at a garden fete and had that same polite jollity about it. Later that day, the streets of Windsor were a little more thronged for the newlyweds, but still no match for the crowds that met Prince Harry and Meghan Markle there in May. Oh, the comparisons. Last Friday was a day of comparisons, few of them in Princess Eugenie's favour. The dress was a heavy satin and off the shoulder, not dissimilar to Meghan's in May. The weather was shocking. Out of 850 guests, only 30 were royal family, apparently, and as they arrived it seemed very celeb heavy. And what an odd bunch of celebs. Naomi Campbell, Stephen Fry, Jimmy Carr, Ellie Goulding, Cara Delevingne, Pixie Geldof, Robbie Williams, whose daughter was a bridesmaid. And many more, though George Clooney, who founded the tequila brand for which the groom is Europe ambassador, was not in attendance. He was at Harry's, though. The coverage was on ITV, the BBC having declined to have them. Camilla was a no-show, apparently due to long-standing bad blood with Sarah Ferguson, mother of the bride and ally of Diana. Prince Philip made it, but he too is no fan of the mother of the bride. 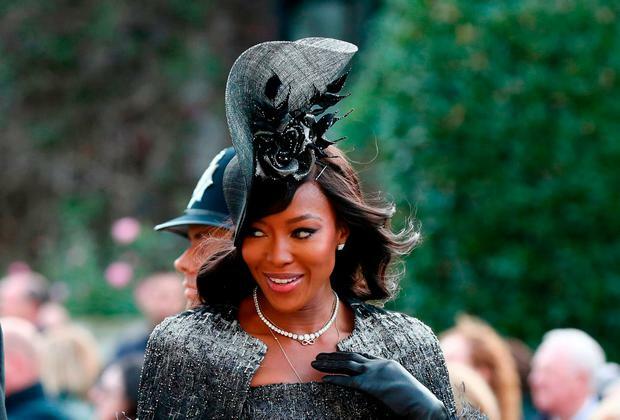 In advance, there was just something a bit off about the whole affair, particularly when it came so closely on the heels of the Harry and Meghan extravaganza. Holding one's wedding in the same venue as Harry and Meghan made direct comparisons easy, of course, though apparently the Queen insisted on Windsor, rather than the bride herself. The bride who, it has been reported, also postponed her nuptials to allow her A-list royal cousin to go first. And that issue of the royal pecking order coloured everything last Friday. Eugenie might have had moments, in the lead-up to her big day, when she wondered why William and Harry, second and sixth in line to the throne, seem to come out tops in everything. Charles and Diana divorced, like Eugenie's parents, Prince Andrew and Sarah Ferguson did. But people really like Camilla these days, while they've never really forgiven Fergie for being, well, Fergie. It's just not fair, is it? A point, it seems, that Prince Andrew has been making most of his life. In fact, less than two years ago, he was reported to have implored the Queen and Prince Charles to improve the lot of his daughters, Eugenie and her older sister, Beatrice. In December 2016, Andrew is reported to have asked the Queen to bestow titles on any future husbands of his girls. This would avoid any children of theirs having no title at all. The royal rules have it that Beatrice and Eugenie would lose their titles on marriage, turning their children into, whisper it, commoners. And yet, watching Princess Eugenie last Friday, there was no sense that she felt second best or short-changed. Last Thursday night, she was interviewed on ITV with her groom-to-be as if it was the stuff of bridal dreams to talk love with Eamonn Holmes. It's not easy being an also-ran, something which has always seemed to rankle with Eugenie's parents. Poor Andrew, though youthfully more handsome and 'fun' than his older brother, has always been the second son. He wears it heavily, and apparently this weight has only increased with age, as his 'Air-Miles Andy' nickname is used more in popular chastisement for costing the taxpayer a fortune than out of any affection. And in marriage, he and Fergie were always the also-rans to Charles and Diana. 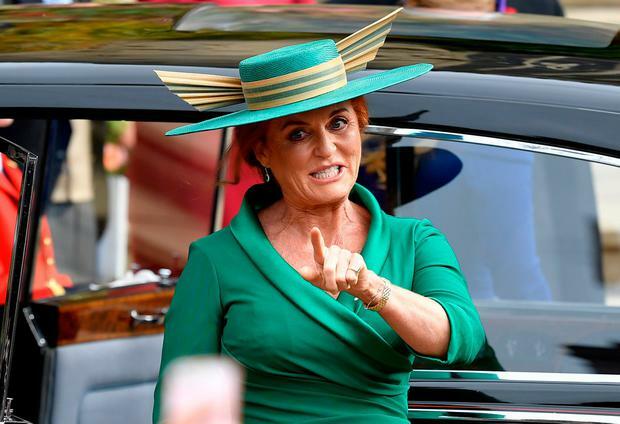 Sarah Ferguson may have been a more fitting Windsor bride, with her slightly off-the-mark fashion sense, her manner that suggested she'd be happier with ponies than in a posh frock, and her old-school pluckiness. She should have been more appealing compared to the highly-strung Di and yet, she was not. The toe-sucking scandal and other gaffes embarrassed the royals and lost her the support of Philip, who had previously enjoyed her gutsiness, and there was always the sense that Fergie just wanted it all a bit too much. Eugenie and her sister have suffered, to an extent, for the behaviour and the perceived behaviour of their parents. They are seen as try-hards, the ones who steal the show in the worst possible way with awful wedding hats and garish outfits. Who are work-shy and too fond of holidays and gauche. Oddly, though, it is the gaucheness of this branch of the Windsors that made last Friday's wedding rather nice. 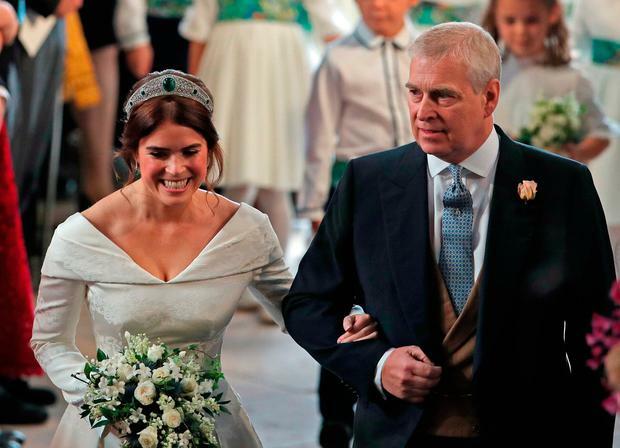 The bride's dress was a bit too heavy and a bit too curtain-like with its thistles and shamrock motifs - nods to the Queen's love of Scotland and to Ireland, the birthplace of Eugenie's late maternal grandmother. 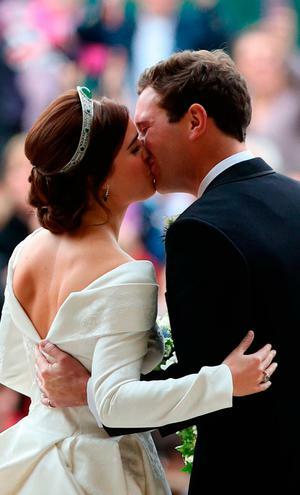 But it meant something heartfelt that the dress had a low back, showing off the scars of Eugenie's scoliosis surgery. The groom was touchingly nervous, blushing and fumbling enough that his bride endearingly reassured him regularly. He seemed to suppress giggles during God Save the Queen, when he caught the eye of a member of the congregation. He had a very un-royal waggly-fingered wave to the crowd as they drove away in a fairytale horse-drawn carriage. Beatrice, sister of the bride, gave an almost Billie-Barry kid reading from The Great Gatsby, one which compared the groom to Jay Gatsby. The bride had read this book soon after they met and thought of the man whom she had loved at first sight - and no one since thought fit to tell her that Gatsby was a manipulative social climber. But dud notes and ill-judgment are the stuff that real weddings are made of. Including the Dean of Windsor's reference to the multitude of marriages that go wrong - hello, Princes Charles and Andrew, oh and their sister Anne, too - in his "triumph of hope over adversity" homily. 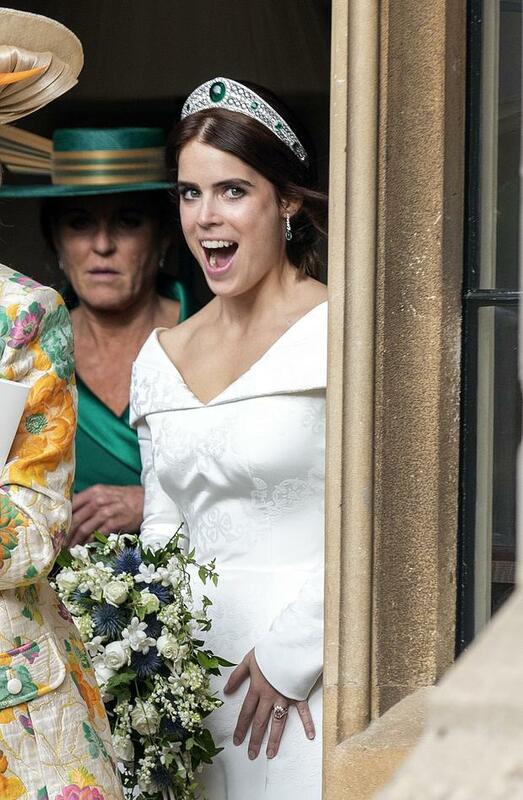 If Princess Eugenie was disappointed by the crowds outside the church last Friday, she didn't let it show. She looked happy. It also looked like her wedding might actually be a bit of fun. That's allowed when you're an also-ran and Eugenie looked able to embrace that.